Chair of Parliament’s portfolio committee on trade and industry, Joan Fubbs, told Fin24 on Tuesday that Parliament, the Department of Trade and Industry and the Presidency wanted to conclude a Brexit trade regime with the United Kingdom, but that this would have to wait for the next term of Parliament. This comes as Minister of Trade and Industry Rob Davies continues to work with his UK counterpart, George Hollingbery, to resolve outstanding issues in a trade arrangement following Brexit. By February, the plan was to seal a post-Brexit trade regime by the first week of March. Last week, UK Prime Minister Theresa May suffered the blow of Parliament rejecting her Brexit deal in a series of meetings at the House of Commons. Fubbs told Fin24 that because Tuesday was the last of the committee's meetings for the current administration, and the UK Parliament was still deciding on the details of Brexit, there was no feasible way to make progress on the matter before the next term. "I have asked them to take it off the order paper. They had indicated they would be signing an MOU, but it was expected that things would work out differently in the House of Commons. But that doesn’t mean everything is thrown out," said Fubbs. Fubbs said if anything needed urgent attention in the trade regime between South Africa and the UK, the power to officiate it would rest in the office of the Presidency. However, she said such a move would rely more on good faith between the two countries than law. "The only mechanism we have is the president who can sign a minute, but it is a moral force rather than a legal force, and would have to be ratified in Parliament in June," Fubbs said. 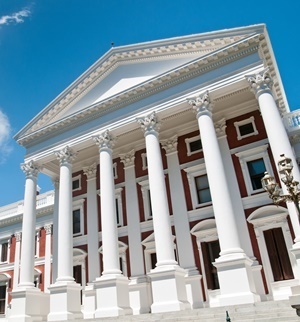 Fubbs reminded Fin24 that the House would be dissolved on Wednesday 20 March, and that members would be directing their attention towards campaigning ahead of the general elections taking place in May. "I am confident because they are here, along with the opposition. Not one member of this Parliament didn’t want us to sign, because it is in the interest, not just of South Africans, but the region," she said.